Hi folks, Doc here, with another treat for all of the large model enthusiasts out there, especially you Merkur builders. 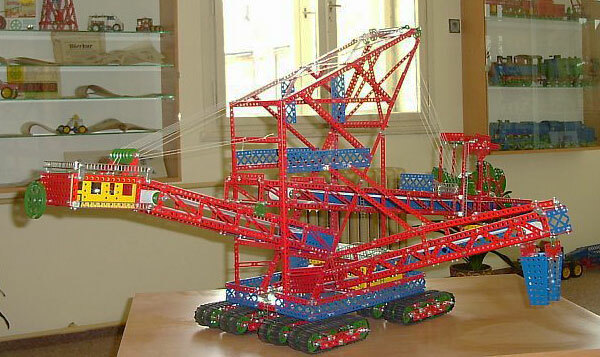 As some of you may know, bucket-wheel excavators (BWEs) are heavy equipment used in surface mining. 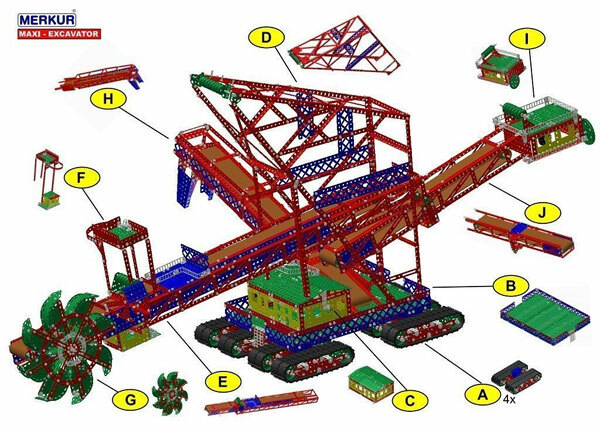 The primary function of a BWE is to act as a continuous digging machine in large-scale open-pit mining operations, removing thousands of tons of overburden a day. 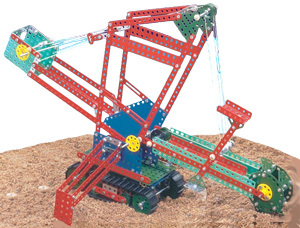 What sets BWEs apart from other large-scale mining equipment, such as bucket chain excavators, is their use of a large wheel consisting of a continuous pattern of buckets used to scoop material as the wheel turns (you can watch a video of a BWE in action further down this page). They rank among the largest vehicles, land or sea, ever produced. 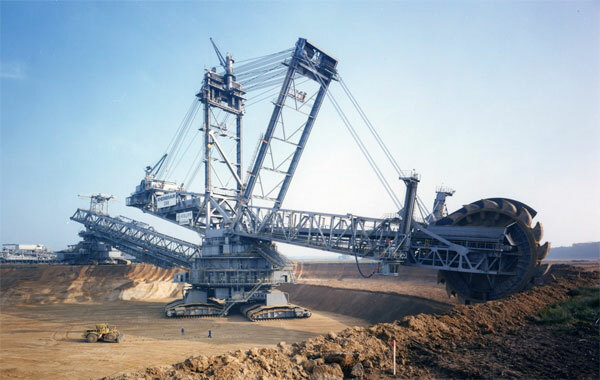 The seond largest BWE in the world is the 13,500 ton Bagger 288 (later surpassed by the just slightly larger Bagger 293); it's shown at work in the photo below. Today it still ranks as one the top 5 heaviest land-based vehicles ever constructed by man. Merkur, a system I love and have profiled here on G&G numerous times, has marketed a larger set called the M5 for many years. 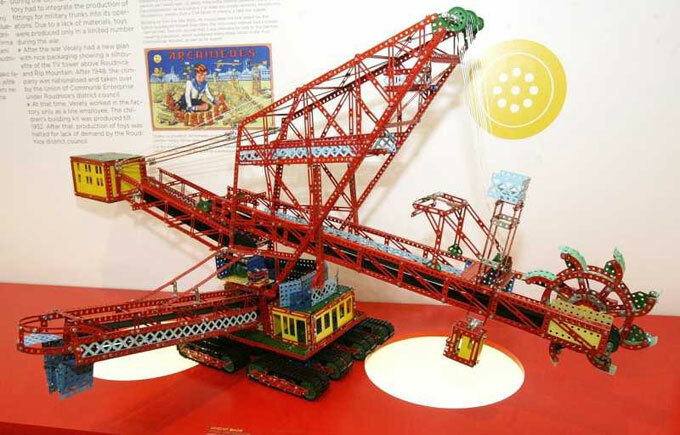 This set's featured model (shown on the cover and in the photo at right) represents just such a machine. It's an impressive model, one that you can see here in the Model Gallery. 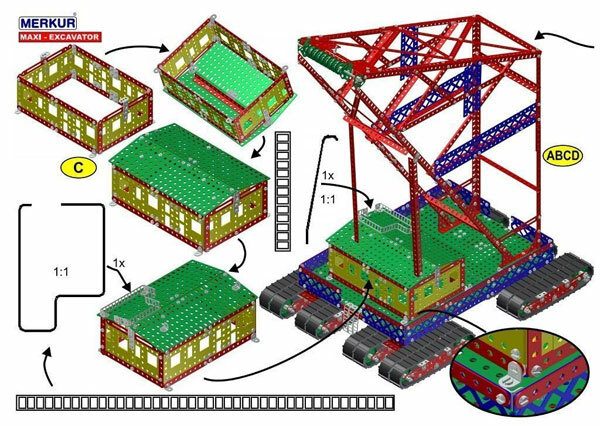 Then, some years ago they decided to up the ante in a major way by releasing a new mega set that features one huge model, a giant BWE that emulates the Bagger 288 and similar such maxi-BWEs. As of this writing, this special set is still available for purchase online from various sources, including directly from Merkur for the equivalent of about $400.00 U.S. 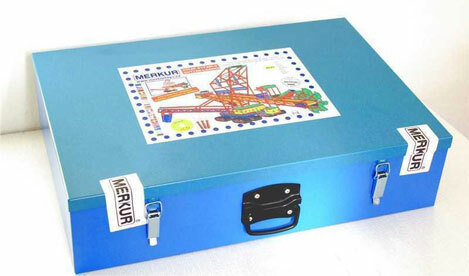 It comes packed in a metal case and contains 2,627 parts. The only specs I don't have are the actual model dimensions, although it appears to be 3-4 feet in length. (In online listings and descriptions of the set you will see measurements, but these refer to the carrying case, not the model!). 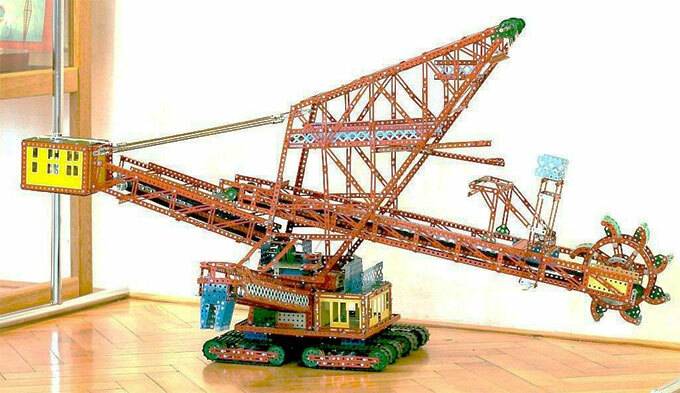 This is, in my estimation, one of the coolest model designs I have ever laid eyes on. Below I have presented several views of the completed model in its glory, along with a picture of the case and a couple of the manual pages. Enjoy! By the way, it goes without saying that you can build this model without owning the special set if you have a large enough collection of Merkur sets/parts.